Kirsty and Rachel are in for a surprise when their parents take them to Rainspell Island Music Festival and Jack Frost and his goblins strut onto the stage. The naughty gang have stolen the Pop Star Fairies' magical notes, and Jack Frost intends to use them to become the biggest star in the world. 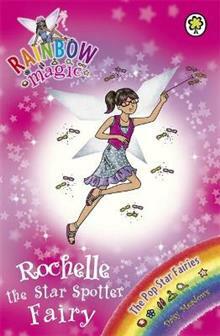 In this exciting story, Kirsty and Rachel help Rochelle the Star Spotter Fairy. The goblins have stolen her magical note, and without it no future stars will be discovered!